As they say: It’s not how you start, it’s how you finish. Colorado Rockies rookie shortstop Trevor Story has had a start for the ages to the 2016 season. The question now is how will he finish? No one expects Story, who began his big league career with seven homers in his first six games, to keep up anything resembling that pace. That’s not possible. But what may be possible is putting together a full season that can be measured against the guy he’s replacing, Troy Tulowitzki. Tulo’s standout rookie season helped the Rockies get to the World Series, while he finished second in NL Rookie of the Year voting in 2007. 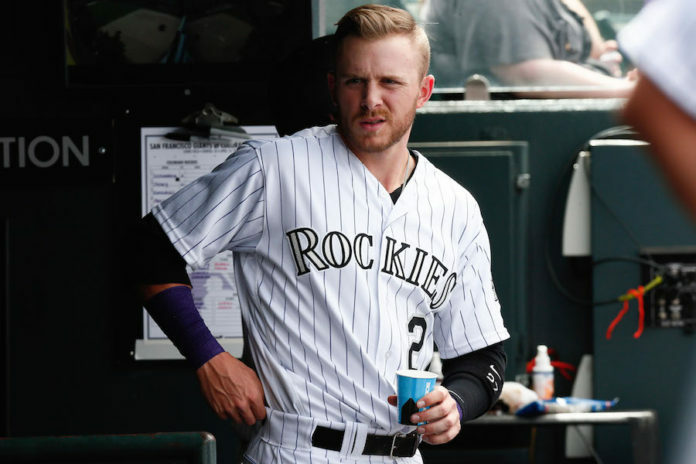 If Story could replicate Tulo’s 24 homer, 99 RBIs, .291 average and Gold Glove-caliber defense in his rookie season (while cutting down on the strikeouts – he’s had 15 through nine games) not a single person in the Rockies organization would be anything less than thrilled. So what does Story need to do to put together a Rookie of the Year caliber season? There have been a lot of rookies to get off to hot starts. Most haven’t been able to maintain it once the pitchers around the league began to figure them out. 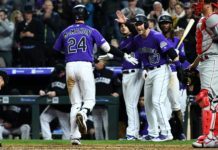 Pitchers will make adjustments to how they pitch the Rockies shortstop based on what they continue to see from him. Once they develop “a book” on Story, it will be up to him to adjust to their adjustments in a season-long game of cat and mouse. One guy who was able to keep making adjustments and put up a record-breaking season as a rookie was Mark McGwire, who belted 49 home runs as a skinny newbie in 1987, shattering the Major League rookie record. After hitting just four in April, McGwire exploded with 15 HRs in May. Proving the point about finishing strong, McGwire hit .351 in September and ended the season at a very respectable .289 with 118 RBIs. His Rookie of the Year season helped jumpstart the resurgence in Oakland as the A’s reached .500 for the first time since 1981. They would go on to win three straight American League pennants starting the following season. Rockies fans would gladly take that. Regardless of your views on McGwire and the PED controversy later in his career, those who know and followed (or played against) him will tell you McGwire was among the hardest workers in the game. That hard work paid off during the second half of that rookie season. To Story’s credit, he seems to have that same weight room work ethic, which could serve him well when the weather gets hotter, the road trips get longer, and the expectation continue to grow. McGwire knows exactly what Story needs to do to avoid any sort of major drop off. Rockies fans are also hoping for a storybook ending.